All this and we’ve saved you a seat! I read an interesting article recently on the benefits of walking and I had to concur with the author Oliver Burkeman of the Guardian that ‘when I walk my head starts to clear and I start to see things differently’. Henry Thoreau seems to have been of the same opinion as he mentions ‘Me-thinks the moment my legs begin to move, my thoughts begin to flow’ in one of his quotes. So the benefits to walking whether its a short stroll an afternoon ramble or a full day perambulating when you reach the end you will feel better. You can’t argue with Henry Thoreau and John Muir (partly because they are now deceased) but mainly because they are right! 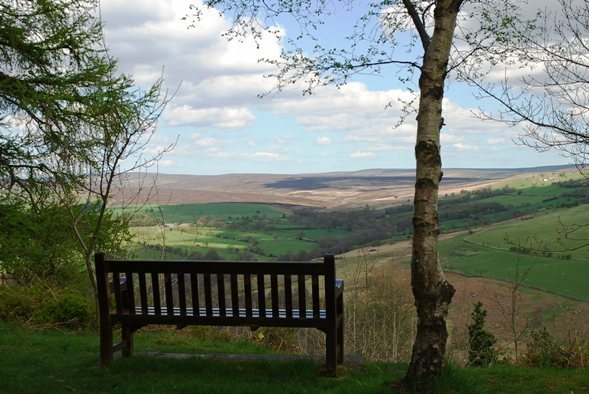 Our picture at the top of this page is of a bench at the top of Cow House Bank a favourite walk of mine and it must be said Jenny’s (pet dog, retired from shooting now). We walk here most lunchtimes, Jenny likes to exercise the pheasants and I keep an eye open for the wildlife (including the gamekeepers)! Its a great place to recharge our batteries and we come back some days up to our eyes in mud but neither of us seem bothered as we tuck into lunch after our walk. 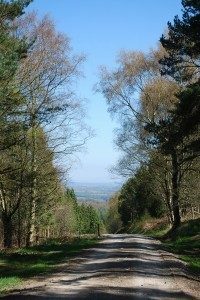 Situated where we are on the edge of the North York Moors National Park Helmsley is an ideal place from which to embark on your walk. The Cleveland Way, the Ebor Way, the North of England Way, the Inn Way are some of the long distance walks that traverse Helmsley. Add these to the numerous ‘local’ walks both from Helmsley and in the National Park and the surrounding area and the words walkers paradise do not seem inappropriate.